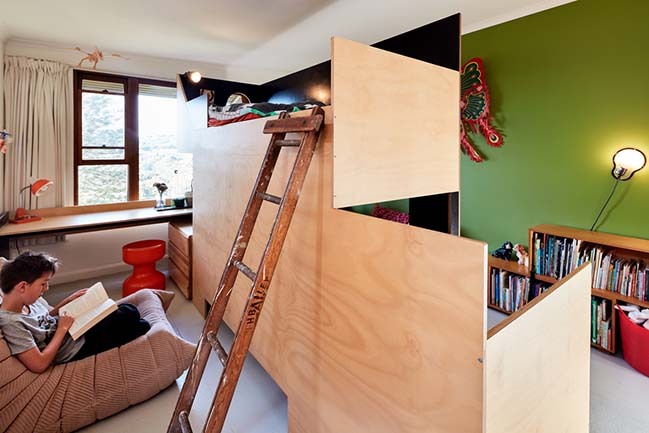 This project is a single shared bedroom was transformed into 2 separate spaces with the insertion of a freestanding bunk bed. 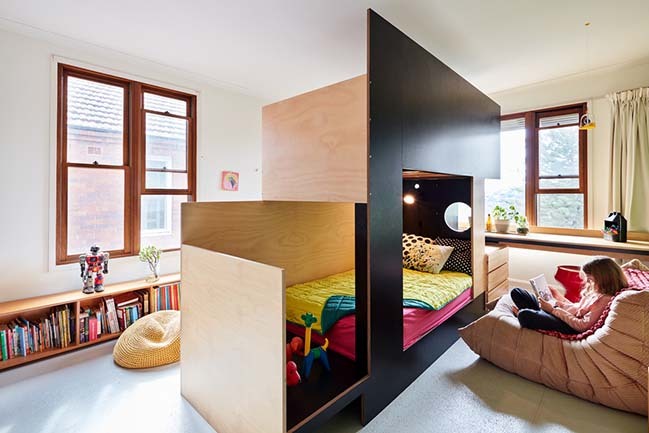 Project's description: Located down the centre of the room with each level facing different directions, the bunk bed structure divides the room into two private spaces. Created from a mix of formply and plywood, this project was an economical way of creating 2 bedrooms from one. 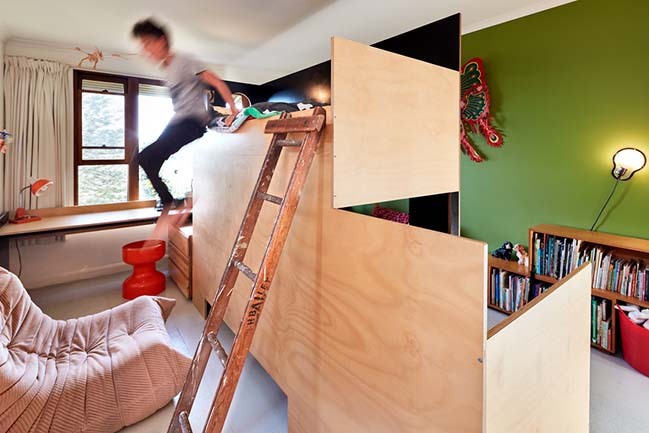 The solution was to place a freestanding bunkbed structure in the middle of the room. and was inspired by the long, narrow childrens bedrooms by le Corbusier for Unite D'habitation, Each side of the space feels unique and private, with a long shared desk facing the views.